HI, I've had a pretty varied background, firstly in science, then as a manager in a large government departments and now I pretty much travel full time with breaks inbetween as an ESL Teacher. My husband andI are passionate travelers and have had over 8 years on the road in total and touched down in more than 100 countries. We just finished cycling 7500km across Australia from Perth to Brisbane. We already have a website, Catch Our Travel Bug that aims to share our passion for independent, budget travel where we hope to impart some information that will help others along their journey or inspire them to get out and explore for themselves. It's a new website and still finding it's niche and style. We hope to eventually monetize it so it will support our vagrant lifestyle and remove the need to stop and work in a day job every second year. I joined up with Wealthy Affiliates to see if the course will help us do that. I've done course before and read constantly about how to do things BUT so far our earnings are just enough to cover a beer or two. Hoping that will change. Hi sharyn, just had a chance to check out your websites. I used to travel Australia before modeling, now after kids I can't wait for the day I leave.....it's been too long! I will sign up for your newsletter and keep in contact. If you're ever in long island giveusa holla!! So very nice to meet you. I would like to thank you for your follow. All the best to you here at WA. Thanks for the follow, and much success to you. Thanks for the follow. I saw your post on installing optimize press. So sounds like you were not able to do it in WA and moved your hosting from WA? What a great blog! And I love the ladybug logo. Hi there! Someone suggested I connect with you since our goals are similar. I looked at your websites and it looks like you're having fun! I hope to start generating income through my site soon. Hi Timshazz. I following your progress and hoping to match your future success. Go well from Janelle. Great background, nice to meet you! Thank you for your follow! Thanks for the follow Sharyin. I will check your website. I also love to travle. I wish you great success in all of your endeavours. Be blessed. Hi. I trust that WA will provide the education and support you are looking for. Congrats again on your eBook. Thanks for the follow. I wish you the best as you make your business profitable online. WA is a great place to learn how to do it. I have no idea what you are talking about but I wish you well. I am computer dyslexic. :) I hope you figure it out. Your picture is awesome. Hello Timshazz. Welcome to WA. Thanks for the follow, and i hope you get your goals ASAP!!! I love your niche. Traveling independently has been among the best experiences in my life. Right now, with my family and limited time for traveling, we spend our holidays relaxing at beautiful european beaches (which I also LOVE:-)). Thanks for the follow Sharyn, I presume you are from "down-under"
Although I am South African, an arch enemy when it comes to things Rugby, I just wanted to say hello and "good on yer mate!" Howzit from Vietnam. But aussie through and through. Thanks for the follow Sharyn! Enjoy your travels and continued success at WA! Thanks for the follow! Sounds like you are having a good time! Thanks for the follow. I wish you the best of luck on your journey in life and here at WA. Thank you for the follow. I hope you are finding success here at WA. I am happy and excitied at the progress I am making! Hello there Timshazz and thabk you so much for the follow! Here's wishing you more success! Hi Timshazz. Thank you for following me and now I am folloring you as well. Much success to you and to me. God bless you!!! That is quite a cycle trip across Oz. Well done. Hi Sharyn, and thanks for the follow. Bookmarking your sites so I can dream a little. Hey Sharyn, WA is a great place to monetize your website. You will learn many valuable information here. Wish you lots of success and thanks for the follow. Thanks for the follow and hope things are going well for you at your Wealthy Affiliate Home. Ya know. Beer is good. Especially when you get to throw back one or two in your travels. Thanks for the follow. Blessings. thanks for the follow! very inspired to travel more. Thank you for the follow. I hope after a couple years doing this I will be able to travel more. Ive seen a lot of the USA but not much else. I would love to travel overseas. Good luck to you and may your goals come to you swiftly. Thanks for the follow Timshazz, you got an awesome site, Liked it for my FB … all the best! An idea. Why don't you and your hubby visit restaurants and/or pubs. Write a review and then sell their brews and and other distributors' beers? Or promote certain types of cuisine in your travels. Thanks for finding me. Thanks for the follow and good luck building and monetizing your site so you can travel as you wish! Thanks for the follow! I've done lots of traveling in my life and once you're bitten by the bug, it's hard to settle down with a "real job". I hope that WA brings you what you need to have more than a beer or two. I always wanted to see the Taj Mahal...sigh. Awesome to hear you are following your dreams. Best of luck with your journey here at WA. Thanx for the follow. thanks for the advice from a fellow traveler! I've only been to 15 countries I got some catching up to do! Thank you for the follow and I'm sure what you need to know you will find here. All the best. Timshazz thanks for the follow and I have done the same for you. Sounds like you have a good start. Wishing you the very best to you and your family!! Thanks for the follow. That is awesome that you can travel like that. Hope you can find a way to make enough money with your website to support your travels. I know it can be done and you are in the right place. Thanks for the follow...I'm definitely jealous about all the travel and will be looking up your website! Hiya and welcome. Thanks for the follow. I'm sure you will find very useful information here. Hi there, thanks for the follow. Sounds like you have a very exciting life. I wish you all the best here at WA. Glad to hear you've got your blogging Mojo back your problem is that you have to much to distract you with all your travelling to new places and things to do, if you can still do objective Blogs with all that distraction, then your doing very well, I'm surprised that you don't just blog about your travelling passion, different places , different people and ways of living the difference between the cultures that you encounter , I would be very interested in all the places you visit a few nice photo's will engage people and interest will build very quickly you have an opportunity that's too good to miss , everyone is interested in new places and cultures I live in Thailand and am seriously considering doing a Blog on just Thailand and all its happenings what with its not coups and it as an emerging nation with all its political unrest , its membership of the Asian Block of East asian nations, and what happens to its intentions as a group of nations how it will compare with the European Union which initially started out as a free trade group and has evolved into a Financial and Controlling force , England have so far managed to stay out of the Euro currency bloc and hopefully will continue to maintain that position, well I am digressing from my comment to your Blogs , please consider my comments you'll find so much interest in a Travel Blog , not just in our community but on the WWW.Internet. Thanks Merryman88...I already have two...www.catchourtravelbug.com is our general travel one. I have several google page 1 blogs depending on what keywords you use and hochiminhcityhighlights.com is about where we are now with specifics about here It's now number 1 or at least page 1 in many countries including the USA, UK, Australia and Brazil,....But Travel is definitely one of the hardest "niches" to be successful in...everyone wants to earn money from something they love and so many people love to travel...WA is teaching me about narrowing down that nich and finding great keywords....Hopefully that will improve my traffic. Thanks for the comments. You ideas sound very interesting. Hello. Thank you for the follow. How wonderful to have travelled to so many places! All the best to you in WA. Well we definitely have different beliefs but here we are on the same forum with the same goals. Must be something in that! Thank you for the follow, I look forward to checking out your website for advice in my love of travel as well. good luck & stay safe. Good morning Sharyne, I look forward to taking a look at your website as I also love to travel. Thank you for following me Sharyn! Welcome to WA, this is such an awesome community and learning platform. If you need any help, just ask! Best wishes and much success. Lydia. Welcome, and thank you for following. 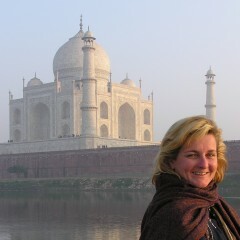 Thank you for following and your nice back ground Taj Mahal is fine. Thank you very much for your follow back. I am sure you will soon find a way to make more through your site than just being able to afford a beer or two! Traveling is definitely something I have longed for, just haven't had the time to do it. Very cool websites though, I look forward to reading more from you! Hi Sharyn, Awesome to have a website going and glad you've found WA. I am sure it's a very pleasant online journey for both of you. I wish you success ahead! You're welcome....it's a great community. I'm sure you aregunna love it as well as learn lots. Dear Sharyn, hank you very much for the follow. Follow you back on your endeavour to eliminate the need for a 'every other year' job. Sound great and it is doable. Hi Timshazz, thanks for the follow. Wow, a 7500km bike ride, that's quite something, have left you a comment on your blog! Christ Thats a long way to ride a bike , Thanks for the follow Timshazz, You must have some stamina. I will now follow you and watch your progress. Best wishes on your successes! Thanks for the follow, Timshazz. I support you and your husband in your vagrant lifestyle. It sounds like so much fun. I wish you extravagant success at your endeavours. If you stick with the training here at WA you will definitely be successful. I wish you all the best. Thank you for your interesting profile. I believe I can learn from you. Apart from that I enjoyed looking around your site and looking forward to seeing your site grow. Thank you for the follow. I am still waiting to be able to quit my job, and just do this. Hi Sharyn, thanks for the follow. Best wishes on your endeavors. Hi Sharyn, thank you for following. I look forward to working with you here at WA. I was fortunate enough to have a job where I was able to travel the world as a field service engineer supporting mass spectrometry equipment. I did this this for 15 years. Did you ever feel uneasy about landing in a foreign country. You know, not sure what to expect. There was a time when I came back to the US, my own country, and had this feeling just before landing in Boston, and then I realized, wait a minute, this is my home! I have even caught myself thinking in a different language, one that I am not fluent in, and there were times when I was questioned as to why I flew first class and slept the whole flight only to miss a great meal and service. LOL. Sorry I missed it, but I was tired. Awesome adventures! Thanks for adding me to your network! With the education here at WA will seriously help with monetizing your site. Best of luck to you! You have an amazing story..Looking forward to hearing more about your travels. Sounds like a fun-filled life and what better thing to build than an online business about something you love! You have definitely come to the right place to live your dream and write about it but It takes time and patience as you learn. As a teacher, I am sure you know that. Hi Sharyn, and welcome to WA. Thanks so much for the follow. I wish you the best of luck here at Wealthy Affiliate. Thanks for the follow. Traveling is great ! It is absolutely lovely to meet you, and I will pick your brain regarding travelling. Thanks for follow. Looking forward to sharing and learning with you. All the best in WA, the course will surely help you so much. Hello there.Thanks for the follow.Wishing you a fruitful time in WA!!! Travelling is wonderful life style. It is more wonderful to earning money with internet as travelling? Wish your dream come true ASAP. Thank you for adding me to your network. WA is a wonderful community. And I look forward to getting to know you and sharing much success here. Hey! I just followed you and liked your facebook page. Have you and your husband every spent any time in South Africa? I was there for two weeks about a year ago and will be moving there semi-permanently in a couple of months to be closer to my girlfriend (Who I met when I was there in May). I'm just wondering if you have any tips or good things to know about South Africa? Cape town is awesome. The drakensburgs are beautiful for hiking, the garden route id sldo grest snd the wineries fantastic around Stellenbosch. Thats just for starters...Kruger and the other game parks are among the best in Africa...drop me a PM re the company you are teaching with. A bit over teenagers and rugrats even tough I've only been back teaching 4 2 weeks after a 2 week break. Thank you for adding me. :) I have been here over a month now, if you need anything just ask. Best of luck and keep in touch. Hi, thank you for following, followed back. I hope you are enjoying your time here and best of luck in your new journey with WA. Thanks for following me, Sharyn. I really like your travelling lifestyle. I wish that I can have such a lifestyle as well if I can succeed in this online venture one day. I know it is not easy but we must be patient and persistent with our action. Wish you all the best! Thanks for the follow. What a great niche to be involved with! Looking forward to following your progress! Thanks for the follow Timshazz. Yours is a lifestyle to aspire to!! Will look at your blogs to learn from you! Hi Sharyn! Nice to meet you and thank you for the follow! Looks like you are up and running already within this great family at WA! Your life sounds like a lot of fun! My hubby and I tried out Panama for a while however; are just not ready for the retirement gig! He went back to his Professorship and I"m with WA! Best choice I've made! Here's wishing you continued success and enjoy your journey through life! Thanks for the follow and welcome to your new journey with the WA family! Oh...which page...the home page or the blog page..? Hey Sui_generis. I've made some adjustments to the plug in but it's totally weird. I have three different computers and a tablet and they are all showing me something different. Would you mind having another look and telling me if you see anything different. Even if all the buttons have disappeared for you can you tell me if the recommendations for other posts are still below the blog and if there is a floating share bar at the bottom of the page. Cheers. Thinking it might be a browser conflict issue. Are you using chrome, Mozilla or IE? I'm using IE at the moment. Blog page is ok now but the travel tips page is doing it. Must come back and view the whole site more. You are living my dream if money wasn't an obstacle. Thx Sui...Now it's even more confusing as I've removed the sharing buttons completely....Think I'll have to find a new sharing plug in. A pity as I really liked the look on this one and it appears it only mis behaves on some computers. Thanks for the follow. I'm so envious of you. Traveling everywhere and anywhere is a secret desire of mine. I'm about to check out your site. Best wishes for your success! Thank you for the follow Timshazz, your husband and you are doing what many of us only dream of doing so I will be following you guys and maybe learning some tips on your website so my wife and I can follow in your footsteps someday, lol. Well you really do follow and interesting lifestyle! That must have been some cycle ride (and very hot in places too). I've never been to Perth, but I have visited my brother in Brisbane, and very much enjoyed it there. Thanks for the follow, which I have returned. Thanks for the follow! Very envious of your travels! Hope I can make it to as many places as you have! Hello!!! Traveling is so amazing, what an amazing lifestyle!!!! Tks for the follow, be sure I will be following you back!! Hello and thank you for the follow. I'll bet it was easy for you to pick a niche following Kyle's recommendation that it be something you are passionate about. Best of luck in building your business. Thanks for the follow Sharyn and welcome back. I think you will reach your goals and will be following your progress to share in the celebration. Many blessings on all your travels. Hi and welcome to WA. I'm certainly learning a lot here. I hope it serves you equally well. How amazing that you and your husband cycled from Perth to Brisbane! I found it tiring just flying that distance :) Looking forward to checking out your site and blogs. Hello Timshazz, welcome to WA and thank you for your following, you have a fulfilled life, and here wishing you all the best in your new endeavour. Hello there Welcome very impressed. WA with help you in all areas of your biz. There is nothing else like this training online. You have made a very wise decision joining WA. What an adventure you & your partner are on in this life Sharon. An inspiration without doubt ~ kudos! I think WA will be of use to your mid range goal Sharon. You sound like you are already a little savvy with the itermietty thingamigigy. So, should have a reasonably clean sail. You may even end up in the ~ 5% that doesn't throw in the towel prematurely. Sounds like you have a rich life and WA will make it richer. :-) Thanks for the follow. Hi there! It is nice to meet you. Thanks for following me. Thanks for following and welcome at WA. I think you will find here useful courses and a helpful community to help you build an Internet business. If you need any support or advice don't hesiate and contact me. Hello Sharyn, thanks for reaching out. You have an exciting lifestyle. I hope you accomplish your goals for the future. The training at WA will help you a lot. Hi Timshazz! I'm honored you chose to follow me here at WA. Best great success! Best regards, Lee. Hi Shazz, thanks for the follow. Welcome to the WA family. Your travels will be an interesting site. Thanks for the follow. Thanks for the follow Shazz. I hope to learn a lot from your site! I've always wanted to travel the world. Hopefully I'll be in your travel shoes one day! Hello Sharyn and thank you for the follow. What an exciting life you have. Well done for making the most of it and I hope that you enjoy your "stay" here with us at WA. So welcome to our community. Hey Shazz! Thanks for the follow. Wow... Perth to Brisbane you say! That's massive!!! Congratulations! Were you raising money doing this, or was it purely for pleasure (or pain :P). Out of curiosity, where do you mainly teach English? Ever taught in Japan? Love your website Sharyn - and your adventure. So - you made it to my home city - well done !! Thx. Slow and steady. Not enough time in the day to read everything on the site but I'll get there eventually. Everyone has been so nice. Greetings Sharon...its wonderful to meet you! What an adventurous couple....how cool are you! Sounds like your living the dream already...I wish you all the success in the world promoting your online aspirations. I look forward to sharing in your success. Please shout out if you need any help....there is a wealth of knowledge here at WA to get you thru any obstacles. Thx. Will do. Hope I can be as helpful as everyone else has been to me so far. Hello there, Thanks for following. I like the vagabond lifestyle myself and hope to make enough to retire and travel the world. Wow and I thought I traveled a lot. I have had the pleasure of being in 23 different countries myself including a few days in Perth a couple of decades ago. Anyhow just wanted to welcome you to WA and thank you for the follow. If you ever need any assistance, please do not hesitate to ask. Sounds like you have an awesome lifestyle! Thanks for the follow! With the WA training, you'll cover the cost of beer barrels. ;) Wishing you success! Thank you Sharyn for the follow and many blessings to you here at WA. If you need any help remember to post your question in the comments section or on live chat, and someone will be able to help you. Wow! What a great experience that must have been - from Perth to Brisbane on a bike! That in itself should produce some awesome content for your travel niche! Pretty cool! Welcome to WA, and thanks for following me. Best of success to you! Thanks for the follow and right back at ya. I love to travel as well. Good Luck! Hi Timshazz........thanks for the follow. A bit Bohemian myself, I truly love your vagrant lifestyle. I'm sure with a bit of work and a lot of handholding by the clever ones here, you will be a huge success at WA. Wishing you great success on getting that thing monetized! Took a peek at your site....and was there for 30 minutes! Thank you for the follow. I'm looking forward to you finished web site. Keep us informed. Best of luck and much success. Thanks for the follow. I really like your website idea. Let me know when it's up and running. I would love to visit it. Also, if you need anything, please feel free to ask. Enjoyed your website tremendously. I am from South Africa so it was nostalgic for me viewing pics of the Himba people. Many thanks. Hi Shazz thanks for following me appreciated. Trust all is well with you both. remember just keep following the lessons find that niche perhaps about travel, cycling couple of ideas but you probably thought of that already. Anyway good to hear from you keep on going forward. Wishing you both the best of success. Hi Timshazz! Many thanks for the follow. I wish you great success. Cheers. Hi And welcome to WA. Work hard and be patient and you will get your dreams. You have come to the best place for this. Check out your Diamond Traffic bonus if you haven't done so already. It shows a few things that will help get the word about your site out. Welcome and thank you for the follow. If you need anything here, please feel free to drop a line. Have fun. Best community in the net. Welcome to WA! Thanks for the follow. 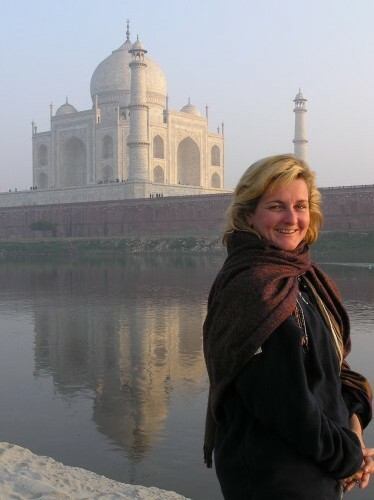 Wow, you're so fortunate to have traveled extensively - love the profile pic! Thanks for the follow. WA will give you a "leg up" on your business goals! Welcome aboard! Thanks for the follow and good luck with your online business.